OMG Posters! 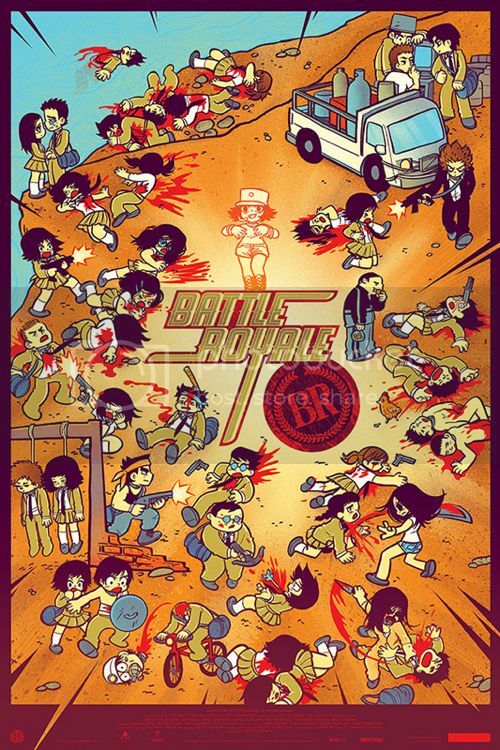 » Archive Battle Royale Poster by Bryan Lee O'Malley and Kevin Tong (Onsale Info) - OMG Posters! Mondo will release the regular edition of their Battle Royale poster by Bryan Lee O’Malley and Kevin Tong today. It’s a 24″ x 36″ screenprint, has an edition of 425, and will cost $50. It goes up today (Thursday, February 21st) at a random time. Visit Mondotees.com. missed it. damn it. damn it all to hell.